In Ireland many Well Water supplies have acid water which will corride copper pipes and brass fittings. You will have seen the tell tale blue staining your white sanitary ware. While the solution is simple a drinking water analysis is recommended to determine the actual pH and any other issues for example mineral or bacterial problems. 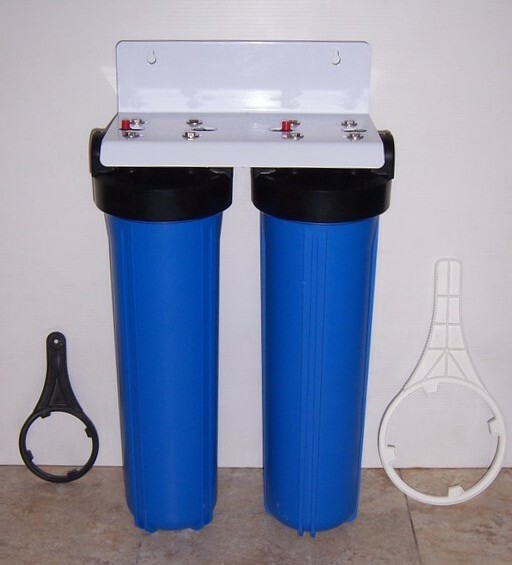 For Acid Water only you need a filter followed by an Acid Neutraliser. If your water analysis shows Iron and Manganese, we have to deal with that issue first.